But I would also like to make a plea not simply for polar bears at large, but for this particular polar bear – the one in the video. In his book Animal Liberation (1975), the philosopher Peter Singer argues that it is morally wrong to treat non-human animals in certain inhumane ways. To be precise, they should not be treated in ways that make them suffer. As sentient beings – beings capable of experiencing pleasure and pain – they have a defensible, prima facie interest in being spared unnecessary pain and suffering. Discussing who and what should be included within the sphere of our moral concern, Singer quotes the 19th-century philosopher Jeremy Bentham to ask: ‘The question is not, Can they reason? nor Can they talk? but, Can they suffer?’ Countering what he calls ‘speciesist’ assumptions, Singer argues that there can be no moral justification for regarding the pain that animals feel as less important than the same amount of pain felt by humans. There might, he concedes, be other reasons to give preference to a human life over an animal life. But in the absence of such compelling principled considerations, we must avoid causing suffering in all creatures that are capable of experiencing it. If it is in our power to prevent something bad from happening, without thereby sacrificing anything of comparable moral importance, we ought, morally, to do it. By ‘without sacrificing anything of comparable moral importance’ I mean without causing anything else comparably bad to happen, or doing something that is wrong in itself, or failing to promote some moral good, comparable in significance to the bad thing that we can prevent. This ‘uncontroversial’ principle of altruism, Singer says, ‘requires us only to prevent what is bad … and it requires this of us only when we can do it without sacrificing anything that is, from the moral point of view, comparably important’. Thus, all things being equal, there is no moral excuse for not doing what we can to alleviate the suffering of people who are dying from lack of food, shelter and medical care, regardless of geographical proximity or distance. Just because they might be thousands of kilometres away, for example, doesn’t mean that we are not obliged to take the money that we would have spent on a luxury item and instead donate it to an international relief agency. In light of Singer’s general views on the moral consideration due to the suffering of non-human animals, the extension of the principle of altruism to such creatures – not species, but individual animals – seems to be trivial. After all, once again, there is no morally relevant difference in terms of the capacity to suffer. In other words, we are obliged to help that starving polar bear. What happened to this animal? Did the witnesses of its suffering intervene? Did the videographer and his crew take any steps to save it? Usually such efforts on behalf of this or that particular animal meet resistance, even discouragement, on the grounds that we should not intervene as nature ‘takes its course’. Now put aside the fact that nature is taking such a course only because it has been altered, perhaps irrevocably, by irresponsible human activity, to the detriment of the members of other species (not to mention our own). Even so, how much weight should we give to this ‘leave nature alone’ argument? Here is an animal that is suffering. Should we (or the people who take such videos) do anything to help it? From an ethical perspective, the answer seems to me to be clear: yes, absolutely. Moreover, Singer’s brand of utilitarianism and its extension to non-human animals, demands this answer. Anyone who accepts Singer’s arguments that we are morally obliged both (a) not to treat animals in a certain way, because of their capacity to suffer (similar to ours), and (b) to relieve the suffering of human beings (as long as it does not involve a comparable loss on our part) must also grant (c) that we are morally obliged also to relieve the suffering of non-human animals when it is possible to do so and without comparable loss on our part. Of course, we do often acknowledge such a duty to help animals that suffer, especially when it is clear that such suffering is directly related to human activity. We typically come to the aid of waterfowl harmed by oil spills, sea mammals incapacitated by plastic floating in the oceans, and animals injured by vehicles. But here is the sticking point: why should it be any different with animals whose suffering is less obviously or directly related – and perhaps not related at all – to human activity, suffering for which we less clearly bear responsibility, or for which we bear no responsibility at all? 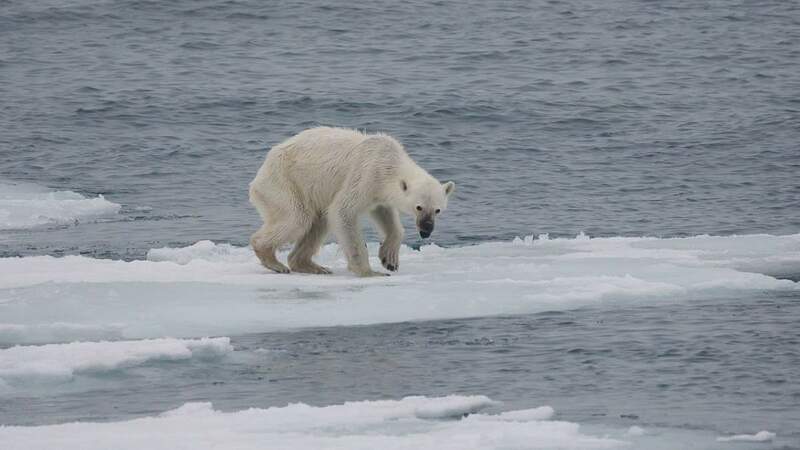 A failure to help that polar bear – or any individual animal in a comparable condition, regardless of our responsibility (direct or indirect) for that suffering – is callous and morally wrong. Nor can lack of action be defended by some alleged concern for the course of nature (‘We must not interfere!’) or the gene pool of the species (‘Let the weak die!’). Consider someone who would use those same arguments to justify not intervening to help relieve the suffering of particular human beings during a famine or after a tsunami, or someone who would use such arguments to say that we should not give antibiotics to a child with pneumonia. Such an attitude, reminiscent of various Charles Dickens characters, would be rejected out of hand as immoral. If the only morally relevant factor is ‘can they suffer?’, there is no relevant moral difference when animals suffer pain that we can alleviate. Steven Nadler is the William H Hay II professor of philosophy at the University of Wisconsin-Madison. His books include Spinoza: A Life (1999), A Book Forged in Hell: Spinoza’s Scandalous Treatise and the Birth of the Secular Age (2011), The Philosopher, the Priest, and the Painter: A Portrait of Descartes (2013), Heretics! The Wondrous (and Dangerous) Beginnings of Modern Philosophy (with Ben Nadler). His biography Menasseh ben Israel: Rabbi of Amsterdam (2018) has just been published.